brings together files and documents stored on your iOS device and in the cloud across various apps and services. Today, we’re announcing full integration of the Drive application with the Files app on devices running iOS 11. With the latest version of the Drive app installed, you can easily access and manage documents and photos stored in Drive just by opening up the Files app on your iOS device. If you have Google Docs, Sheets, or Slides apps installed as well, tapping on any Google document, spreadsheet, or presentation in the Files app will open the app of the associated Google editor. You can also take advantage of new iOS 11 features like dragging and dropping files between apps and folders in the Files App. With Google Drive, you can access and edit your files across the many devices and platforms you work on. The new Files app for iOS 11 brings together files and documents stored on your iOS device and in the cloud across various apps and services. Today, we’re announcing full integration of the Drive application with the Files app on devices running iOS 11. We’ve also made jams easier to create and share on the go, enhanced the experience to join a live jam session on a nearby board, and improved the overall mobile UI. As we continue to add new features to the overall Jamboard experience, we’ve been working to make the Jamboard app more functional and easier to use on your mobile phone. The latest jamboard release allows you to present your jams to a meeting directly from your phone, so you can share ideas with remote colleagues even if you don’t have a board nearby. As a bonus, we’re also introducing saved print settings with this launch. Just modify your settings once, and they’ll be retained the next time you—or a collaborator—opens that same spreadsheet. To create professional-looking spreadsheets, it’s often critical that you can append them with certain information—for instance, your company’s name, a confidentiality notice, and any other important details. With this launch, we’re making it easier to do just that. 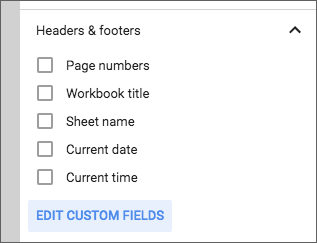 Going forward, you can customize the headers and footers in your Google Sheets documents with the text of your choosing. In addition, you can select from many more pre-defined options (for date, time, etc.) and move those options around within your header and footer. Simply choose “EDIT CUSTOM FIELDS” from the Print settings menu to get started. 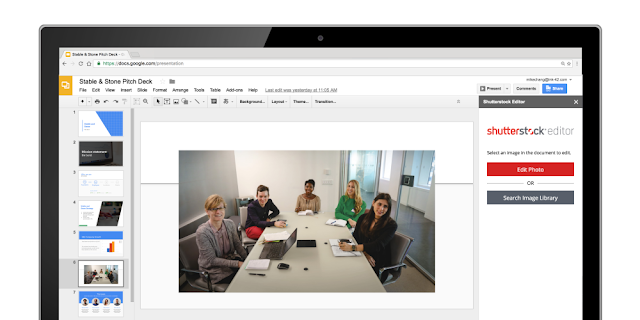 As a go-to presentation tool, Google Slides already comes equipped with real-time collaboration features. 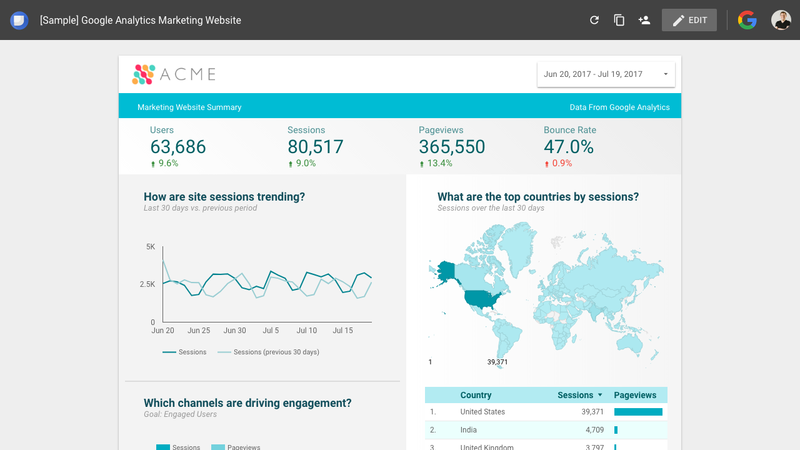 Starting today, we’re introducing new robust features to help you and your team win that pitch, nail that client presentation and get buy-in for new ideas—all while saving valuable time. Here’s a look at the latest updates in Slides, including new G Suite integrations, partner applications and customization options. We built Keep to help you easily capture and organize ideas. Today, you can use a new drag-and-drop integration between Keep and Slides to transform these ideas into action. Simply select notes from Keep (or sort with #labels) and drag them into Slides. When you add a note from Keep into your presentation, Slides will automatically add a title and description for you. The Office of Information Technology for the State of Colorado uses the new Keep and Slides integration to keep track of population numbers at different agencies and report them to their team. Instead of digging through emails and Docs to track down figures, the team saves statistics to Keep and drags them into Slides to present. If you’re new to Keep, download here. Whether you’re trying to prepare several client presentations or make sure data is up to date, repeatedly copying slides from one presentation to another is a major time-sink. Now, you can link and sync slides from multiple presentations with a click. This way, you can maintain a single source of truth and easily update linked slides to match the source, like for quarterly business reviews or company presentations. Tailor presentations to different audiences with the Skip slide feature. You can now choose to skip select slides without fully deleting then when you present from your phone or laptop. Try these feature upgrades and create better presentations. We’re constantly improving Slides to provide you with robust tools to share ideas. Today, we’re bringing add-ons to Slides. To kick it off, we’re introducing seven integrations—designed to bring expertise from companies like Adobe and Shutterstock—right in Slides. 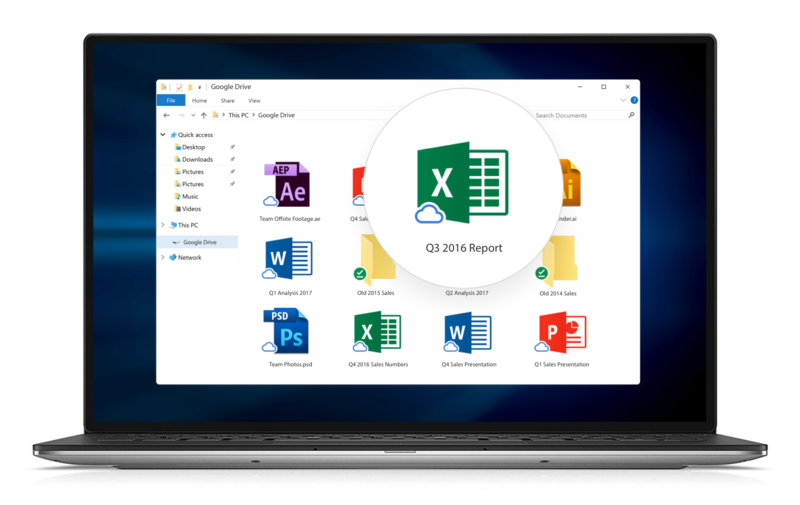 Use these new, rich integrations to help you build more powerful presentations, whether you want to add full-bleed images, use advanced image editing tools or include diagrams you created in programs outside of G Suite. Search for and add images from Adobe Stock, right in Slides. You can use the Adobe Stock add-on to build visually-stunning presentations in Slides. 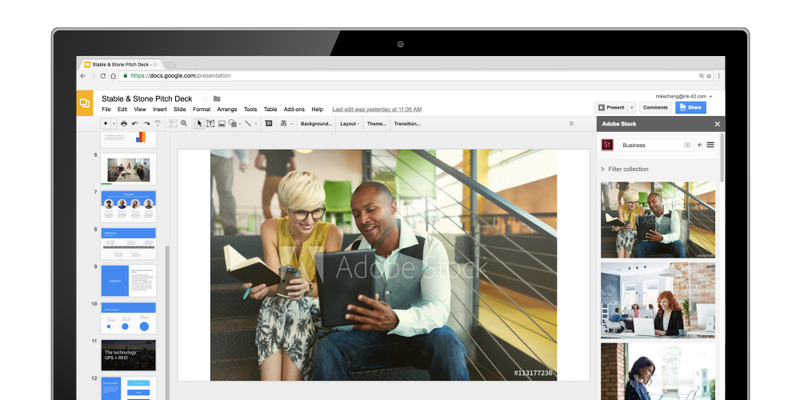 Teams can seamlessly search, preview and purchase Adobe Stock images—without leaving Slides. Through the add-on, teams can also use Adobe Stock Visual Search to find relevant stock images with an uploaded image (versus a text search). Use the Shutterstock Editor add-on to add and customize photos within Slides. With the Shutterstock add-on, teams can browse Shutterstock’s entire library of royalty-free images, and sign into Shutterstock to license content, directly in Slides. Select an image, then apply customization options like filters, text, logos and more. Teams can benefit from even more powerful capabilities in Slides with additional add-ons from Balsamiq, Lucidchart, Pear Deck, Noun Project and Unsplash. Tap “Add-ons” in the Slides menu bar to get started. In addition, starting today, you can pair add-ons with templates in Slides—just like you can in Docs and Sheets. Keep in mind that add-ons will only work if they’re enabled for your domain, and templates paired with add-ons will abide by the same Admin console settings as all other templates. These templates will be available in English only. Apps Script, the same technology that powers add-ons, can transform the way you work. Apps Script for Slides lets your teams programmatically create and modify Slides, and customize the menus, dialog boxes and sidebars in the user interface. So, what’s the big deal? Apps Script provides amazing possibilities for improving your team’s workflows. Sales teams can use Apps Script to automatically pull in information from Sheets’ databases to create customized client pitch decks and templates. Marketing teams can host internal assets in a customized sidebar in Slides for easy access to logos and files they use most often. To learn more about how you can automate your workflows using Apps Script, check out this post. Present with confidence using Slides. NOTE: All of the features above are launching on the web only, with the exception of the Skip slide feature, which is available on Android and iOS devices as well. *The Balsamiq template will appear immediately in the Slides template gallery, but the add-on functionality associated with it will launch only to domains on the Rapid Release track. Domains on the Scheduled Release track will see add-on functionality in two weeks. or suspend it for a certain amount of time before deleting it. Today, we’re introducing a new set of tools to better assist admins with managing former employees’ calendar events, which will help you streamline your company’s employee exit workflows. When you delete a user, you can choose to transfer their future events to a new owner and optionally, release the resources that these events occupy. This ensures continuity of the scheduled events with an active employee who can continue managing them. 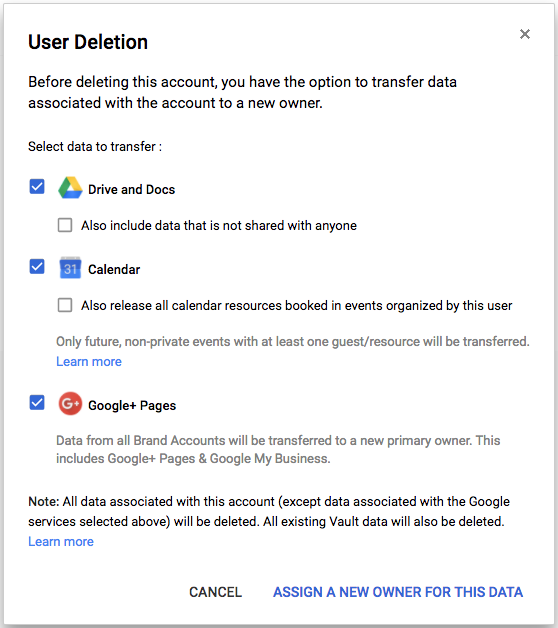 You can change ownership of an employee’s events via the user deletion flow, by navigating to Apps > G Suite > Calendar > Manage User Data, or via the Data Transfer API. 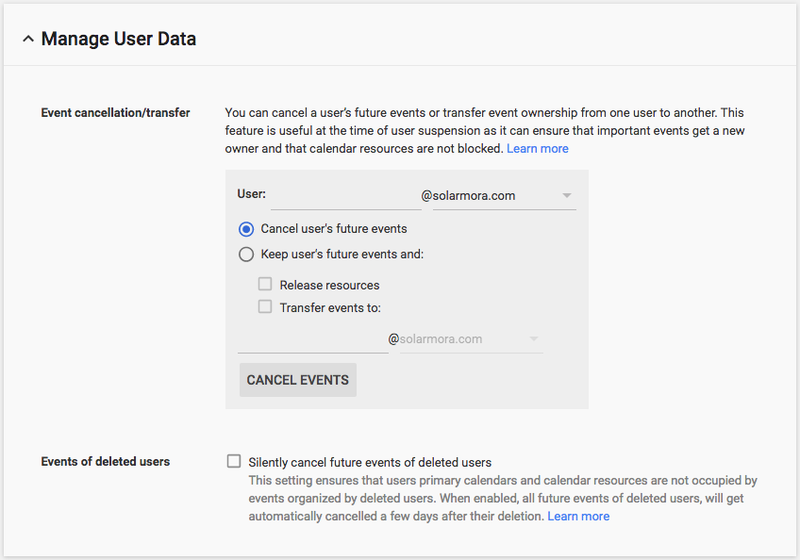 If you choose not to transfer events upon user deletion, it is recommended that you opt in to have Calendar automatically cancel future events for all deleted employees, 21 days after the deletion. This will ensure that no unmanaged future events remain in the calendars of guests and resources. To opt in for automatic cancellation, navigate to Apps > G Suite > Calendar > Manage User Data. At any other time (e.g. after a user’s suspension), you can manually initiate event transfer, event cancellation or resource release of future events, by navigating to Apps > G Suite > Calendar > Manage User Data. Please note, this service is available to Super Admins and to admins who have the Data Transfer privilege. For more information, please visit this Help Center article. Managing the ownership of a former employee’s calendar events and ensuring that calendar resources don’t remain booked by their stale events are challenging tasks for admins. When an employee leaves an organization, you can either delete their account or suspend it for a certain amount of time before deleting it. enables users to access their enterprise cloud applications—including administrators signing in to the Admin console—by signing in one time for all services. Google supports the two most popular Enterprise SSO standards, OpenID Connect and SAML. There are over 800 applications with pre-integrated SSO support in our third party apps catalog already, and we are constantly adding more. Today, we’re adding SAML integration for ten additional applications: BambooHR, ClearSlide, Domo, Egnyte, Federated Directory, HipChat Server, Samanage, SAP Cloud Platform Identity Authentication, UserTesting, and Workfront. Note that apart from the pre-integrated SAML applications, G Suite also supports installing “Custom SAML Applications” which means that admins can install any third-party application that supports SAML. The advantage of a pre-integrated app is the installation is much easier. You can learn more about installing Custom SAML Applications in this Help Center article. Single-Sign-On (SSO) enables users to access their enterprise cloud applications—including administrators signing in to the Admin console—by signing in one time for all services. Google supports the two most popular Enterprise SSO standards, OpenID Connect and SAML. There are over 800 applications with pre-integrated SSO support in our third party apps catalog already, and we are constantly adding more. currently requires certificates to be from certain trusted root Certificate Authorities (CAs) that meet very specific guidelines; however, a popular request from our enterprise customers has been allowing you to upload, from within the Admin Console, additional root certificates that you want Hosted S/MIME to trust. Today we’re making this possible for Gmail administrators using Hosted S/MIME. 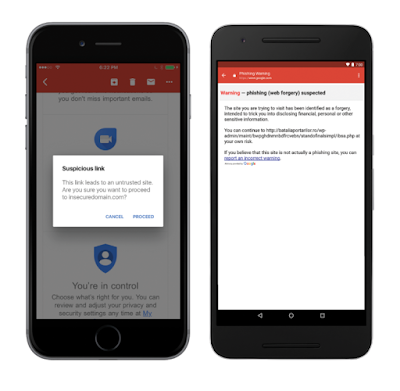 Google has a set of requirements for acceptable S/MIME encrypted messages which follow strict security guidelines; however, you may have noticed that recipients that don’t meet these requirements appear as not “trusted” and can’t be sent those messages. Once this new admin console control is available, you will be able to upload additional root certificates to ensure the email you want to have trusted by Gmail servers are designated as such for your users. For details on how to get started, see our Help Center article. Please note: While accepting additional root certificates will remove the ‘not trusted’ indicator in Gmail, we recommend evaluating current certificate best practices as outlined here. Gmail’s Hosted S/MIME solution currently requires certificates to be from certain trusted root Certificate Authorities (CAs) that meet very specific guidelines; however, a popular request from our enterprise customers has been allowing you to upload, from within the Admin Console, additional root certificates that you want Hosted S/MIME to trust. Today we’re making this possible for Gmail administrators using Hosted S/MIME. We are continuing to add signals and improve the quality of our Request Access notifications so the members of your Team Drives can quickly gain access to content. Starting today, in situations where a user is sent a link to a file in a Team Drive that they don’t have access to, we’ll only send the Request Access notification to the creator of the file, or a limited group of individuals who had relevant interaction with the Team Drive. We will no longer always send it to all members of the Team Drive. This change not only helps to ensure that the members of your Team Drives aren’t receiving unnecessary emails, it also prevents unwanted oversharing of Team Drive content. Please Note: We are continuing to add signals and improve the quality of our Request Access notifications so the members of your Team Drives can quickly gain access to content. in the Admin console, where you can first select the appropriate OU. Public Mode - View/comment on internal and external content. 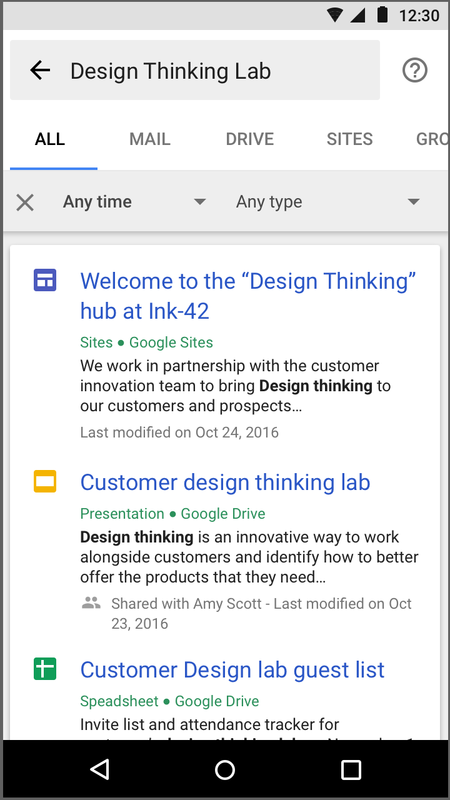 This mode allows G Suite users to view/share/interact with content that is both inside and outside of the domain. This is similar to how Google+ operates today. This mode is best for specific OUs (e.g. those used for outward-facing roles like marketing and support) who should be able to interact with customers and external partners via Google+. Private Mode - View/comment on internal content only. This setting offers the most control over Google+ activity, as it restricts G Suite users to viewing/sharing/interacting with only people inside their domain. Please note, G Suite users can still view content outside of their domain if they get a direct link or had joined/followed an external community/person/collection prior to being placed into this mode. Hybrid Mode - View external content (e.g. industry news), but only engage with it internally. 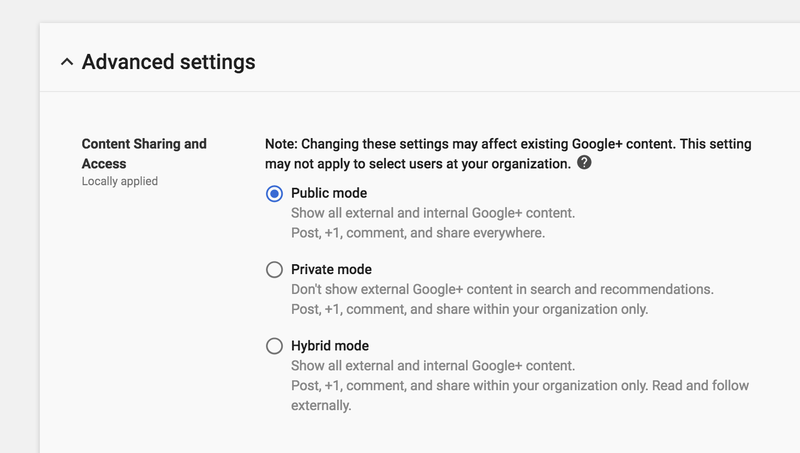 This setting offers moderate control over Google+ activity, as it allows G Suite users to view content outside their domain, but only share/interact with it internally. Since these settings can be customized at the OU level, you’ll have the opportunity to differentiate permissions. For example, you can use the Public setting only for OUs that need to interact with people outside of the domain, whether that be the support team, marketing team, or others in customer-facing roles. For more information on the impact to user experiences at each level of this setting, please review this Help Center article. Google+ is a great tool for helping employees discover and engage with external content that can be relevant to work. From an administrative perspective, we’ve heard from you that having more controls around content and commenting rights for your users would be helpful. That’s why today, we’re making this possible by adding new content restriction settings in Google+. 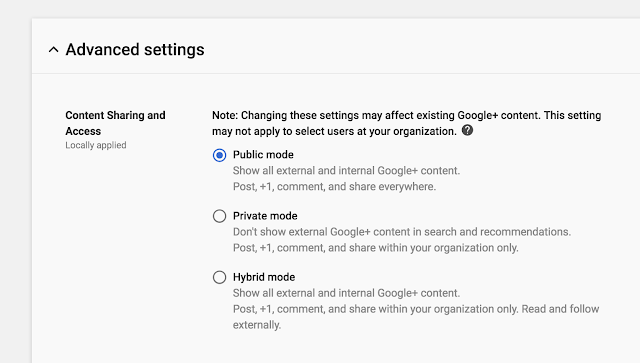 To change Google+ sharing settings for a specific organizational unit (OU), you can go to Apps > G Suite > Google+ > Advanced Settings in the Admin console, where you can first select the appropriate OU. feature in the Admin console, G Suite admins can track the delivery of messages sent and received by users within their domain. Until now, admins had to reach out to end users directly or search their mailboxes to see the status of a message after it had been delivered. With this launch, that’s no longer necessary, as a message’s post-delivery status will be listed in Email Log Search results. Going forward, to see the current location of an email, whether it’s been read or deleted, as well as any assigned labels, admins can simply expand the “Post-delivery message details” under “Recipient details” in an Email Log Search result. With this info, admins will be well-equipped to help users find missing messages. The date range search options for message delivery logs in Email Log Search are limited to 30 days. With this launch, we’re introducing a new date range field of “Older than 30 days.” Please bear in mind that this new field will only retrieve the post-delivery message details for messages received more than 30 days ago. It will not retrieve any other information. Using Gmail’s Email Log Search feature in the Admin console, G Suite admins can track the delivery of messages sent and received by users within their domain. Until now, admins had to reach out to end users directly or search their mailboxes to see the status of a message after it had been delivered. With this launch, that’s no longer necessary, as a message’s post-delivery status will be listed in Email Log Search results. 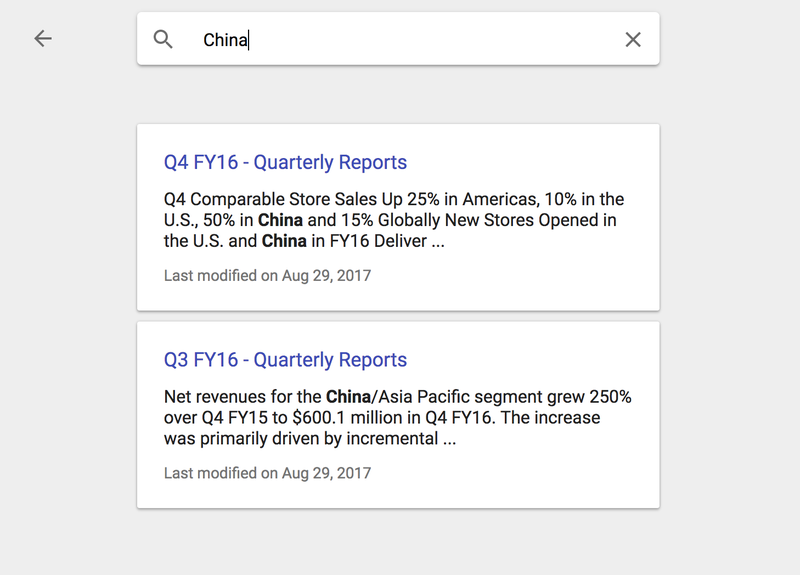 Earlier this year, we launched Google Cloud Search, a new G Suite tool that uses machine learning to help organizations find and access information quickly. Today, we’re making it possible to use natural language processing (NLP) technology in Cloud Search so you can track down information—like documents, presentations or meeting details—fast. If you’re looking for a Google Doc, you’re more likely to remember who shared it with you than the exact name of a file. Now, you can use NLP technology, an intuitive way to search, to find information quickly in Cloud Search. Type queries into Cloud Search using natural, everyday language. Ask questions like “Docs shared by Mary,” “Who’s Bob’s manager?” or “What docs need my attention?” and Cloud Search will show you answer cards with relevant information. In addition to natural language processing, Cloud Search users will now see content from the new Google Sites in their Cloud Search results. Having access to information quicker can help you make better and faster decisions in the workplace. If your organization runs on G Suite Business or Enterprise edition, start using Cloud Search now. If you’re new to Cloud Search, learn more on our website or check out this video to see it in action. For more information on using Cloud Search, visit the Help Center. Note: This feature supports searches only in English for now. For more information on exporting data from Vault, check out the Help Center articles below. We know that many organizations add their data to e-discovery processing and review tools in Microsoft Personal Storage Table (PST) format. 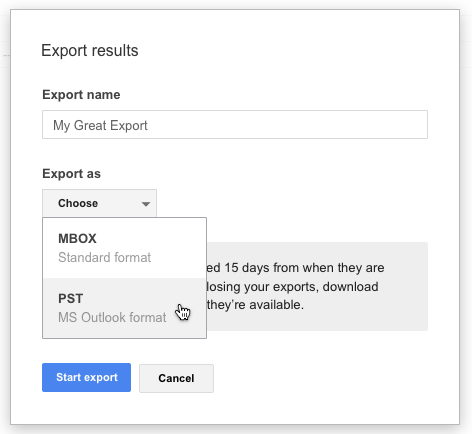 To save those businesses time and to make the process of producing and importing data easier, we’re now giving Vault admins the ability to export Gmail, Google Groups, and on-the-record Google Hangouts chat data in PST format. Clicking an address link will take the user to Google Maps. Clicking an email address will compose a new email, using the user’s default email client. Finally, when using a mobile device, clicking a phone number will start a call request using the default phone app. 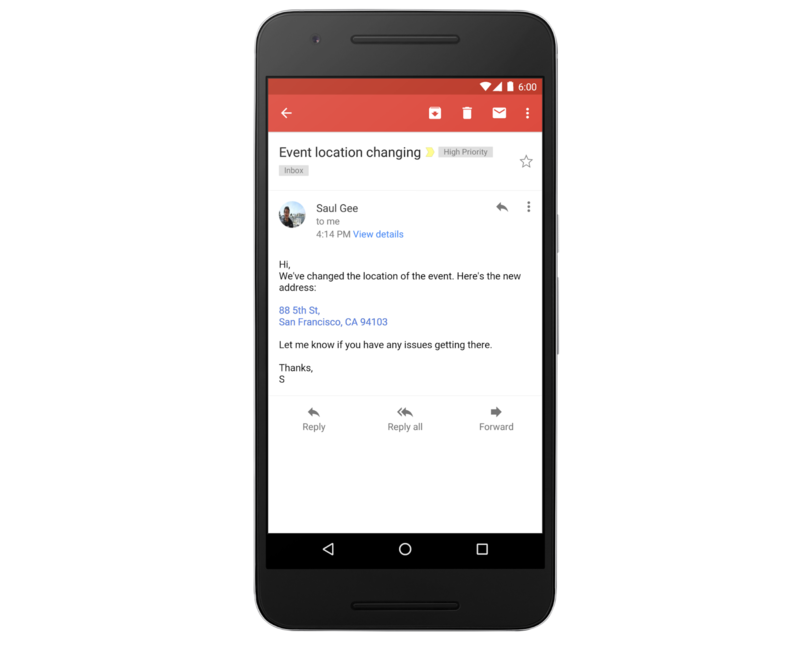 Gmail users often exchange information like addresses and phone numbers with each other to set up meetings, introduce colleagues, and plan events. Precious time can be lost by having to copy and paste this information from an email into other apps and websites, so we wanted to provide a better way to perform these tasks that also saves time. That’s why starting today, Gmail and Inbox by Gmail on Android, iOS, and the web will begin converting text to interactive hyperlinks whenever they detect phone numbers, addresses, and email addresses in emails. that we were replacing the Google Data (GDATA) Calendar Resource API with a new Calendar Resource API that’s part of the Admin SDK’s Directory API. Originally scheduled for January 2017, the formal shutdown of the GDATA Calendar Resource API will now take place on November 15th, 2017. If you’re using an application that uses the old GDATA Calendar Resource API, or if you’ve used this API directly in your code, please consider switching to the latest version of the apps (after consulting the app developer) or update your code to use the new Calendar Resource API. In December 2015, we announced that we were replacing the Google Data (GDATA) Calendar Resource API with a new Calendar Resource API that’s part of the Admin SDK’s Directory API. Originally scheduled for January 2017, the formal shutdown of the GDATA Calendar Resource API will now take place on November 15th, 2017.
, Data Studio, and App Maker, saving you the trouble of duplicating and updating that information on your page. Simply select “Embed URL” from the Insert menu. Note that this will only work if the webpage you’re trying to add allows embedding. Check out the Help Center for details, and stay tuned for more features coming soon. We’ve heard you loud and clear—you want better ways to add content to the new Google Sites. Today, we’re making it easy. 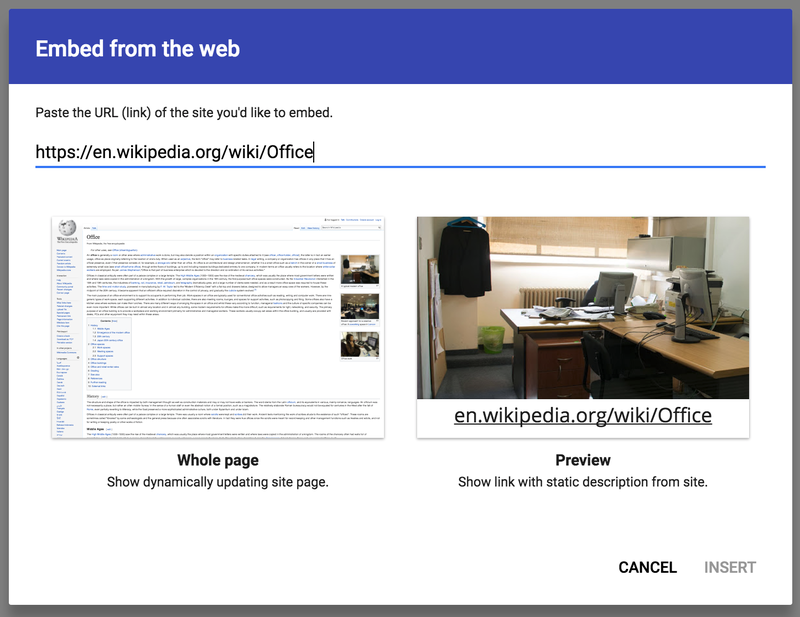 Going forward, you can embed an entire webpage as an iframe in a new Google site. This will allow you to pull in content from other websites and Google tools like Apps Script, Data Studio, and App Maker, saving you the trouble of duplicating and updating that information on your page. Simply select “Embed URL” from the Insert menu. Note that this will only work if the webpage you’re trying to add allows embedding. We work hard to help protect your company against phishing attacks—from using machine learning, to tailoring our detection algorithms, to building features to spot previously unseen attacks. While we block as many external attacks as we can, we continue to build and offer features designed to empower IT administrators to develop strong internal defenses against phishing. Here are seven things we recommend admins do in G Suite to better protect employee data. Two-step verification (2SV) is one of the best ways to prevent someone from accessing your account, even if they steal your password. In G Suite, admins have the ability to enforce 2-step verification. 2SV can reduce the risk of successful phishing attacks by asking employees for additional proof of identity when they sign in. This can be in the form of phone prompts, voice calls, mobile app notifications and more. G Suite also supports user-managed security keys—easy to use hardware authenticators. Admins can choose to enforce the use of security keys to help reduce the risk of stolen credentials being used to compromise an account. The key sends an encrypted signature and works only with authorized sites. Security keys can be deployed, monitored and managed directly from within the Admin console. The Password Alert chrome extension checks each page that users visit to see if that page is impersonating Google’s sign-in page and notifies admins if users enter their G Suite credentials anywhere other than the Google sign-in page. 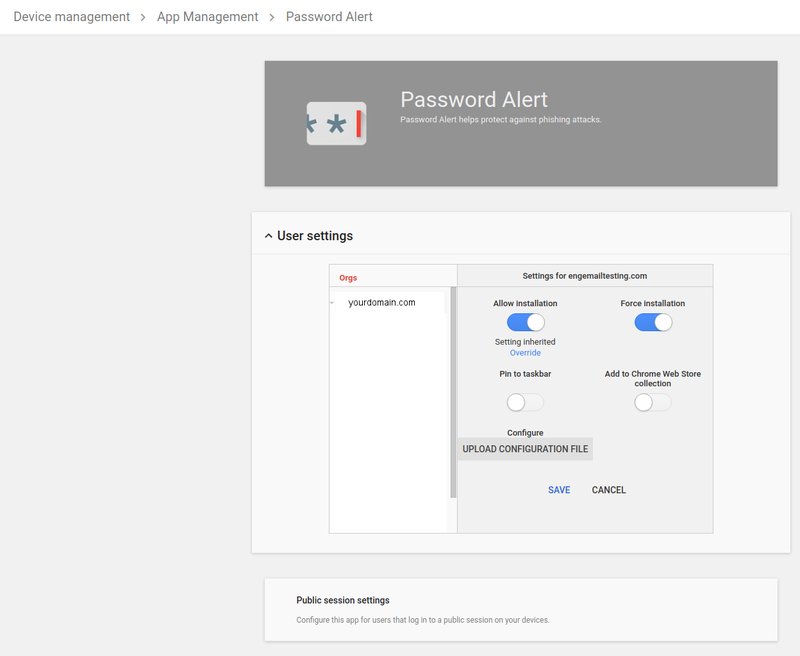 Admins can also enable password alert auditing, send email alerts and enforce a password change policy when G Suite credentials have been used on a non-trusted website such as a phishing site. Take advantage of OAuth apps whitelisting to specify which apps can access your users’ G Suite data. With this setting, users can grant access to their G Suite apps’ data only to whitelisted apps. This prevents malicious apps from tricking users into accidentally granting unauthorized access. 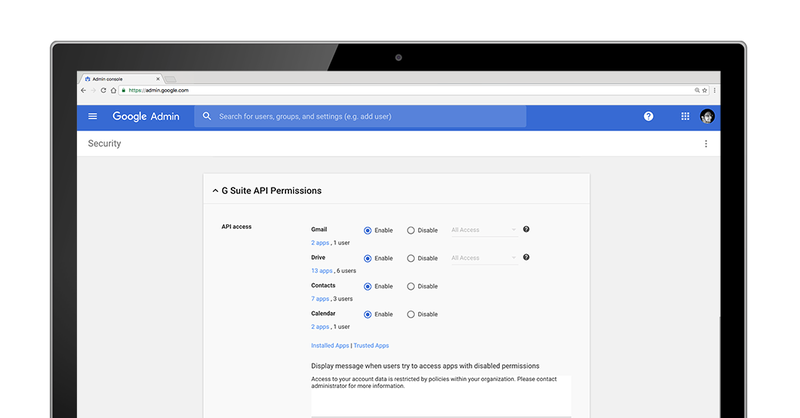 Apps can be whitelisted by admins in the Admin console under G Suite API Permissions. To help your business avoid damage to its reputation from phishing attacks and impersonators, G Suite follows the DMARC standard. DMARC empowers domain owners to decide how Gmail and other participating email providers handle unauthenticated emails coming from your domain. By defining a policy and turning on DKIM email signing, you can ensure that emails that claim to be from your organization, are actually from you. 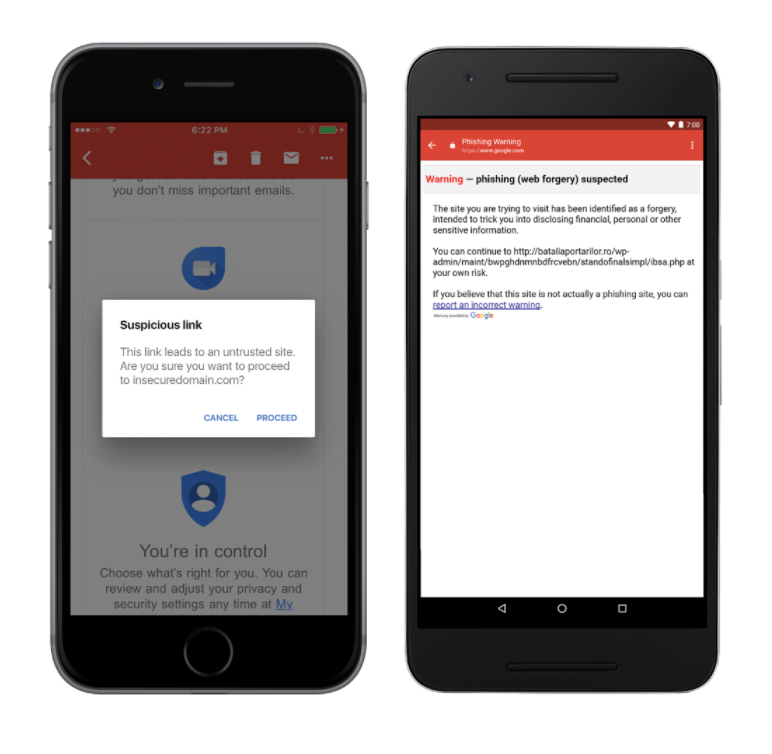 The Gmail clients (Android, iOS, Web) leverage Google Safe Browsing to incorporate anti-phishing security measures such as disabling suspicious links and attachments and displaying warnings to users to deter them from clicking on suspicious links. By choosing to disable POP and IMAP, Google Sync and G Suite Sync for Microsoft Outlook, admins can ensure that a significant portion of G Suite users will only use Gmail clients and benefit from the built-in phishing protections that they provide. Additional measures include enabling OAuth apps whitelisting to block third-party clients as suggested earlier in the blog. Note: all third-party email clients, including native mobile mail clients, will stop working if the measures outlined above are implemented. By default, Gmail clients (Android, Web) warn G Suite users if they’re responding to emails sent from outside their domain by someone they don’t regularly interact with, or from someone not in their contacts. This helps businesses protect against forged emails, from malicious actors or just plain old user-error like sending an email to the wrong contact. Educate your employees to look for these warnings and be careful before responding to unrecognized senders. Unintended external reply warnings are controlled from the Admin console control in the “Advanced Gmail” setting. Work profiles allow you to separate your organization's apps from personal apps, keeping personal and corporate data separate. By using integrated device management within G Suite to enforce the use of work profiles, you can whitelist applications that access corporate data and block installation of apps from unknown sources. You now have complete control over which apps have access to your corporate data. These steps can help you improve your organization’s security posture and become more resistant to phishing attacks. Learn more at gsuite.google.com/security or sign up for our security webinar on September 20, 2017 which features new security research from Forrester and a demonstration on how the cloud can help effectively combat cyber threats. Both Android and iOS apps can be distributed at the OU and group level. For more information, check out the Help Center. We know that companies, especially large enterprises, are organized in complex ways, and different employees need different things. With that in mind, we’re giving G Suite Business and Enterprise admins more granular control over mobile app management, allowing them to assign different settings for different organizational units (OUs) and groups. This means that an admin can, among other things, whitelist certain apps for their executive team and others for their marketing org, or prohibit their sales team from disabling specific apps. Previously, admins could only do these things for an entire domain. Update (September 26, 2017): Drive File Stream is now available to users in domains for which it is enabled. See the post below for more details. Launched to early adopters in March, Drive File Stream is a new desktop application that allows you to quickly access all of your Google Drive files on demand, directly from your computer, meaning you use almost none of your hard drive space and spend less time waiting for files to sync. Starting today, you’ll see settings in the Admin console for Drive File Stream (located at Apps > G Suite > Drive and Docs > Data Access). Note—these settings won’t go into effect for your users until Tuesday, September 26th, when Drive File Stream becomes generally available. As of today, Drive File Stream will be turned ON for all customers, but we’ll only show download links in the Drive interface if you currently show them for Backup and Sync / Google Drive for Mac/PC. For more information on how to turn Drive File Stream on or off in your domain, check out the Help Center. With this launch, Google Drive for Mac/PC is officially deprecated. It will no longer be supported starting on December 11th, 2017, and it will shut down completely on May 12th, 2018. We encourage you to use Drive File Stream. As an alternative to or in addition to installing Drive File Stream, you can upgrade to the new version of Drive for Mac/PC, called Backup and Sync. In October, Drive for Mac/PC users may start seeing messages in the product notifying them that Drive for Mac/PC is going away. If a user is running both Drive File Stream and Backup and Sync on the same machine, they’ll be prompted to stop syncing My Drive with Backup and Sync in order to save disk space. Team Drive editors won’t be able to edit their Team Drive files when they’re opened in Drive File Stream; they’ll only be able to view them. To edit these files, they’ll need to open them in Drive on the web. A side-by-side feature comparison with Backup and Sync. Instructions for turning on Drive File Stream and deploying it to your organization. 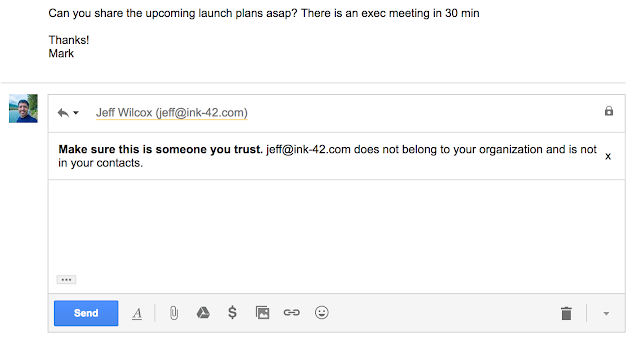 Sample emails you can send to your users with more information. Say goodbye to time-consuming file syncing and any concerns about disk space. With Drive File Stream, all your files are always ready for you and your colleagues. Update (March 22, 2018): This post has been updated to reflect that Google Drive for Mac/PC will now stop working on May 12, 2018 (previously March 12, 2018). See this post for details on the date change. , our cloud-based, collaborative whiteboard, was available for purchase in the United States and Canada. Starting today, we’re bringing Jamboard to the United Kingdom. G Suite customers in the UK can now purchase Jamboard for £3,999 (GBP), which includes two styluses, an eraser, and a wall mount. This pricing excludes VAT. We’re also running a promotion—if you order on or before December 31, 2017, you’ll receive a discount off of the annual management and support fee, as well as a discount on the optional rolling stand. See the table below for pricing and promotion details. Keep in mind that a G Suite license is required to use Jamboard so that you can access files from Drive, use them in your brainstorms and come back to your work later. UK-based G Suite customers can contact their Google Cloud sales rep, our distributor, BenQ, or visit our website to learn more about how to start jamming with colleagues today. In addition to the Jamboard device, the Jamboard app is available on Android and iOS for all G Suite customers. When used on a tablet, the Jamboard app allows users to experience similar features as they would on the Jamboard device. On a smartphone, the app functions as a companion for the Jamboard device. Usage of the Jamboard app is controlled by a service on/off switch in the Admin console, and is off by default. Check out the Help Center for more information, including an FAQ section. Jamboard devices now available for purchase in the United Kingdom. G Suite Basic, Business, Enterprise, and Education** customers. **G Suite for Education customers will need to satisfy certain requirements in order to purchase Jamboard devices. See the Help Center FAQ for more information. Over the last few months, we announced that Jamboard, our cloud-based, collaborative whiteboard, was available for purchase in the United States and Canada. Starting today, we’re bringing Jamboard to the United Kingdom. 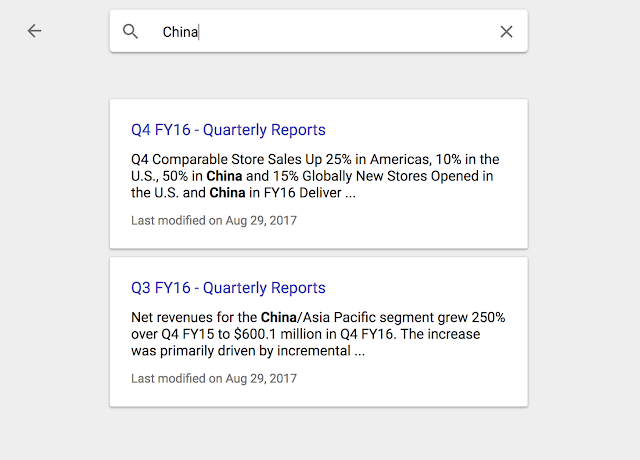 Check out the latest "What's New in G Suite" launch recap [pdf] for a roundup of all G Suite launches from August 2017.